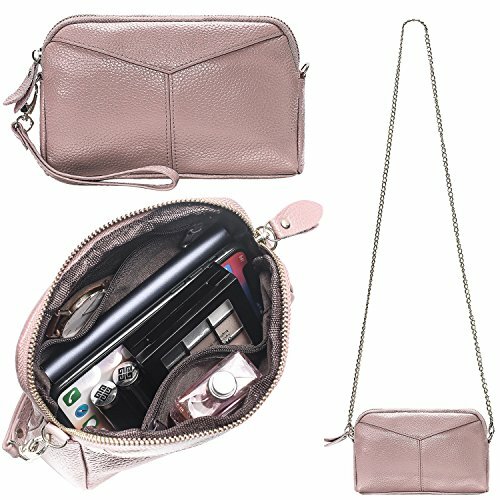 Women's Smartphone Soft Leather Wristlet Purse/Clutch Wallet/Crossbody Bag with Crossbody Strap&Wrist Strap (Baby Pink) by Semikk at SCRHI. Hurry! Limited time offer. Offer valid only while supplies last. Dimensions: 7.1"L x 5.1"H x 2.6"W.(fit up to 5.5" smartphones). If you have any questions about this product by Semikk, contact us by completing and submitting the form below. If you are looking for a specif part number, please include it with your message.